Welcome! 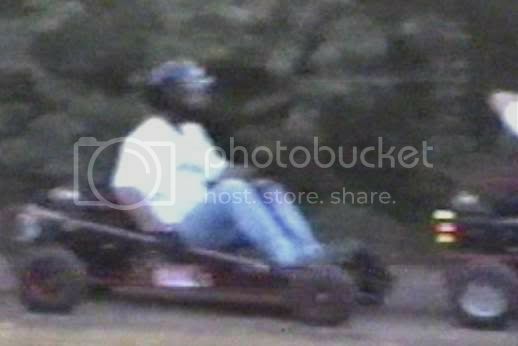 We are a Dirt Go-Karting Club that races for a Points championship every Sunday from June-thru-August & every weekend from September-thru-October since the early 1990s, counting points since 1996, and online since 2005! 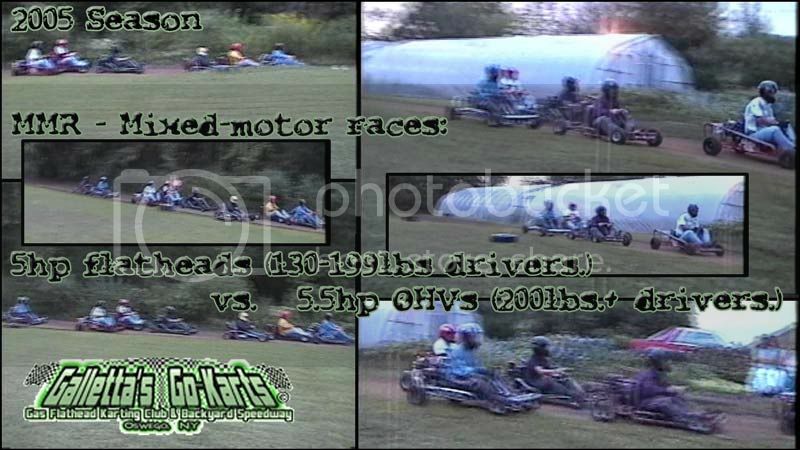 We race gas-only stock 5-horsepower class at Galletta's Greenhouse's not-for-profit/race-at-your-own-risk Go-Kart Speedway, and a gas-only 8hp-and-less Yard Kart summer Thursdays at Oswego Speedway's Clay Dirt Oval. Always looking for new drivers to join us! Serious racers only! 11. #6 Tom Murray Jr.
Mark Miller (in his #007) returned to victory lane to win two out of his three attended races. Chris Stevens was charging early, but while working on the #57 of Mike Billion and the #32 of Shane Miller, the #44 of Neil Gosch pulled side by side with the #8 and Matt Stevens (in his Galletta's #3) pushed him off the track in turn one. Chris and Matt had to go to the rear of the field, and although Matt was able to recover enough for a second place finish, Chris had to settle for sixth. Billion scored third, Ed Meynes (and his #18) pulled off another strong performance with a fourth place finish, as Jason Mills scored fifth (in the Galletta's #0). Six karts scored DNFs.